Leadership games provide a fun and creative way to energize your team while helping them to develop important leadership skills. If you're like most people, you enjoy the challenge of engaging in a game that is simple to understand and that doesn't require a lot of practice prior to the actual event. Additionally, you want the activity to have a clear purpose that adds value in some meaningful way. The games provided here will meet or surpass those expectations. 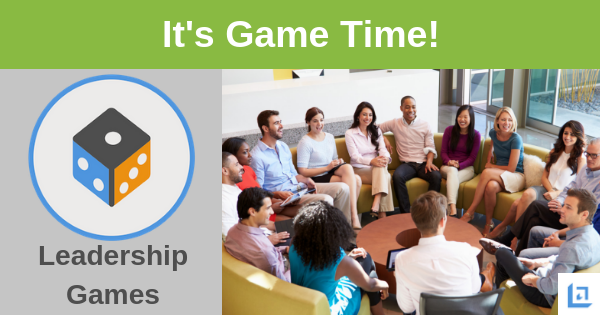 So, take a minute to review our free leadership games and think about how you can use these tools to infuse some energy into your team members during your next team meeting. Access all our free game templates when you subscribe to our free newsletter. As children we instinctively played games. In fact, when no games are provided, kids will often make up their own games to play. But for some reason, as we grow up our drive to play can diminish over time. Key reasons for less playtime includes having a much busier schedule with greater responsibilities. After all, someone has to pay a mortgage and raise the kids, right? Good leaders recognize that teams benefit from being able to play more at work. The ability to play a game while learning and developing new skills is a great way for leaders to support and energize their team. As a leader of a team or organization you have the ability to provide team members with the opportunity to play leadership games that are fun, while still maintaining their focus on work related matters. For example, consider how games can support increased product knowledge. Virtually all businesses have a continual need to enhance the product knowledge of their team members. The more they know the features and benefits of their products, the more effective they can be at selling the product to consumers. Why not take the opportunity in your next staff meeting to introduce leadership games around product knowledge? Games will get your entire team mentally and physically engaged and this results in higher retention of the information covered. Plus, it's just more fun to learn while competing with their peers. Sounds simple enough, right? But too often managers just don’t make the time to create the game; determine the prizes for the winners, or invest the effort to determine what kind of game they want to play. Yes, it’s that old “lack of time” excuse again. Well that’s where we come in. Leadership-Tools.com is proud to offer great ideas and tools for fun and easy to implement leadership games. Okay, it's game-time! As the leader, it’s time for you to Get In The Game. Jeopardy is a famous American television game show that features a quiz competition. Contestants are presented with clue statements in the form of the answer (I.e., Rhymes with "_______ are readers"), and they must respond in the form of a question (I.e., What are Leaders?) Our game has been simplified, but you can be as creative as you wish when making the rules. 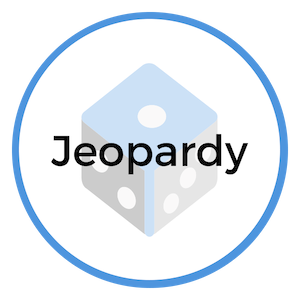 Our free Jeopardy tool is an Excel template that can be modified to help leaders get their team engaged to learn important topics relative to your business or department. Choose from Manual, Excel or Online versions of the game. Monopoly - In Production, coming soon. 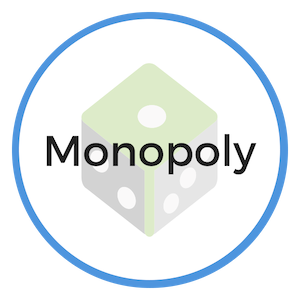 The original Monopoly is a board game where players take turns rolling dice to move around the game board. Along the way they collect money, buy properties, and develop their property with houses and hotels. It's a fun game, but literally takes hours to play one game. Our version of Monopoly is more like the McDonald's version. Correct answers are awarded with game cards that randomly award gifts and prizes to the winners. Our free Monopoly tool is an Excel template that can be modified as you see fit. Change the property names to reflect local businesses, team names or departments. Create your own customized game board. Hangman - In Production, coming soon. Did you know the game show Wheel of Fortune is based on the original game Hangman? 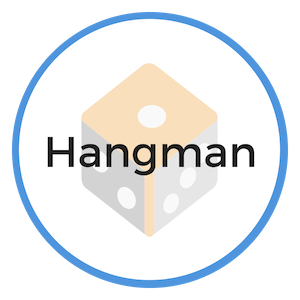 Hangman is a simple game that challenges the participant to guess letters of a word or phrase. Each letter missed takes you closer to the final solution - not a good place to be! This game provides a great tie-breaker solution, or just a fun opportunity to gain bragging rights in the workplace. Our free Hangman tool is a Powerpoint template that can be modified to meet your needs. We also provide recommendations for online versions of the game for your review. Leadership development is a life-long pursuit so it's important to use every tool or resource available that reinforces key messages, life lessons and universal truths. Leadership games provide effective tools for leaders who are working to develop future leaders within their team or organization. Bottom-line, the introduction of a game can turn an otherwise boring or routine meeting into a fun and memorable experience. Plus, by getting your team mentally and physically engaged they will remember more about the information covered and have a good time in the process. The above leadership games will help to make you a more effective leader as you work to develop leadership qualities in your team members. To download our free Leadership Games, simply subscribe to our free newsletter. You will immediately receive a password that grants access to our entire leadership tools library.